Komen Central Tennessee conducts needs assessments to guide our priorities and work more effectively within the community. The needs assessments include an overview of demographic and breast cancer statistics that highlight target areas, groups or issues. 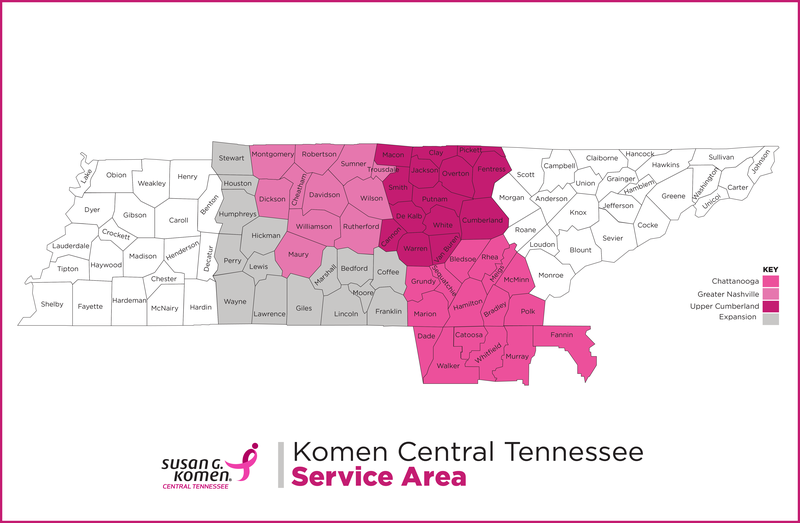 Komen Central Tennessee then uses the the needs assessments to make informed decisions on how the Affiliate can use its resources to make the greatest impact on breast cancer in the area through the awarding of local grants for education, screening and treatment programs. Funding for local grants is then aligned with the most significant needs in the community.